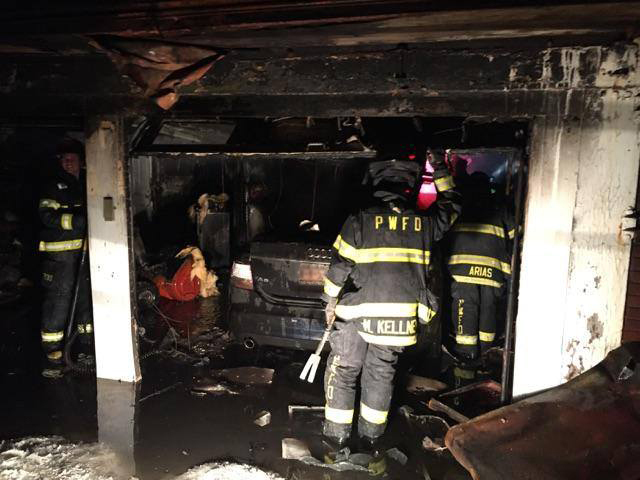 On Tuesday, March 3rd, 2015, the PWFD was alerted for a General Alarm: House Fire at 11:10pm. 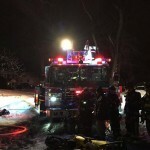 Ladder 8519, belonging to Atlantic Hook and Ladder Co. #1, was first to arrive on the scene. 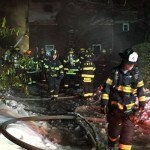 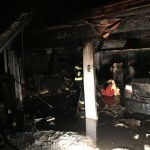 On arrival they encountered thick smoke conditions bellowing from the two-car garage. 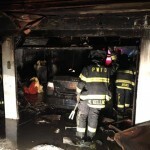 Upon further investigation, firefighters found a running vehicle engulfed in the flames within the garage. 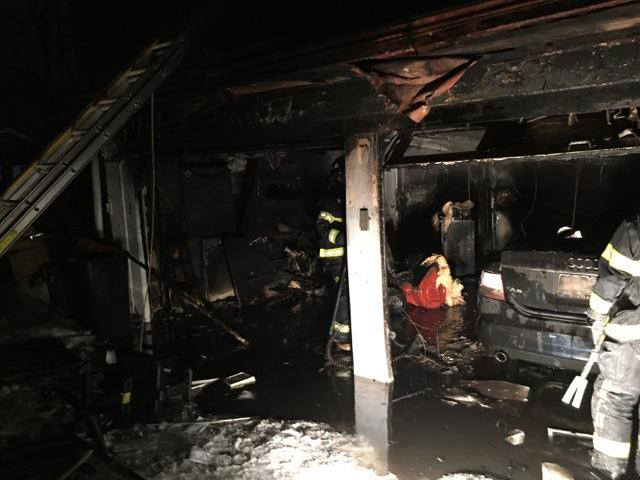 The fire was quickly extinguished during the initial attack and the entire operation, including extended overhaul, was complete within two hours. 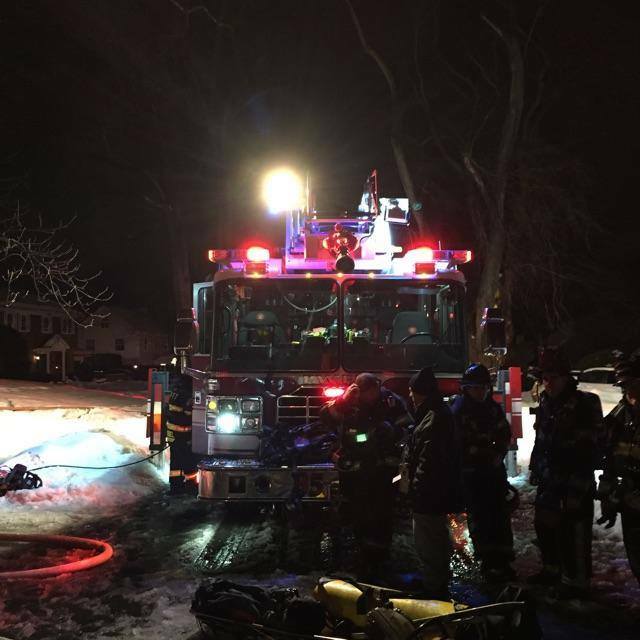 Firefighters were able to overcome water supply issues stemming from the primary hydrant being frozen under snow. 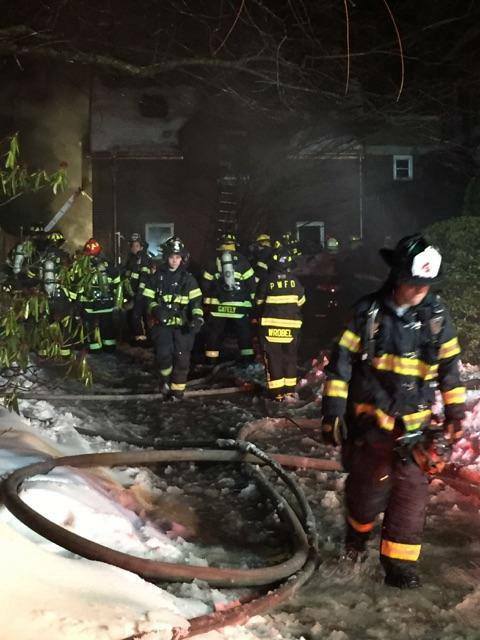 As a reminder please take the time to clear snow, within a 3 foot radius, of nearby hydrants.